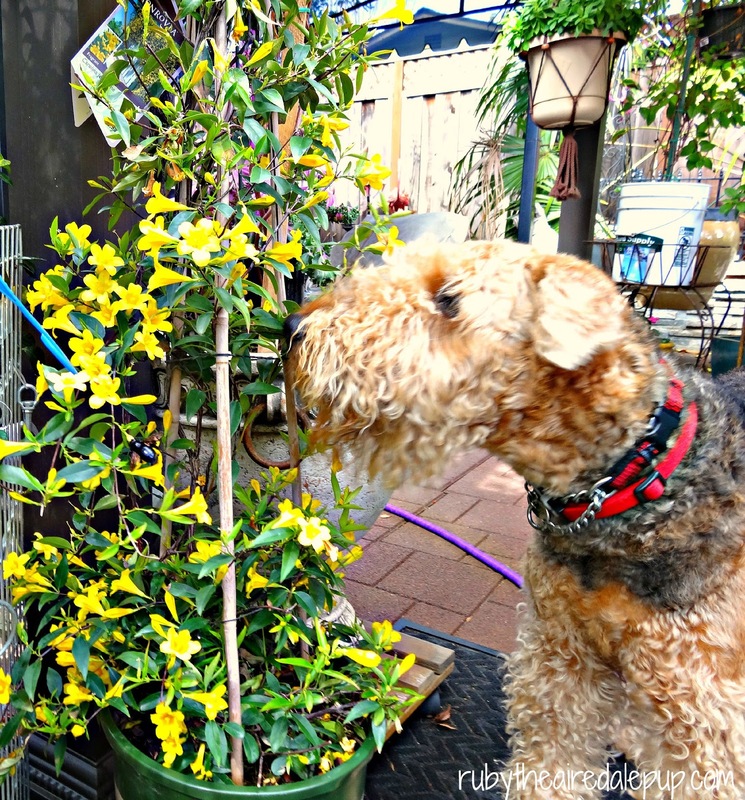 Ruby the Airedale: Earth Day! As all of you know, today is EARTH DAY! I also put up this burdie house that has now had TWO sets of baby birds born! plants are very impawtent to our ecosystem! I also make sure that we always recycle! The less stuffs that goes into the landfills, the betters people! 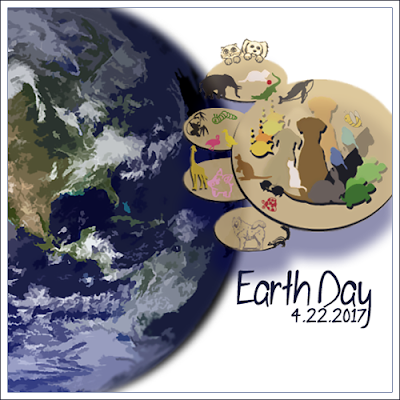 Remember, that EVERY DAY IS EARTH DAY! It's the only planet we got! Special THANKS to Louis for Hosting this special day! Clean air makes for great flying. You sure got that right Ruby. This IS the only planet we got, aye?? We really have to look after it better ..... EVERY DAY!! You sure do a great job helping our Earth. Keep up the good work. We love seeing your little hummers every year. You are right, Ruby. Every day should be Earth Day! We love Nature....but it doesn't usually let us close enough when we race up to say hello! We spent yesterday digging the earth. You know why Hummingbirds hum, right? They don't know the words to the song. Ha roo roo roo! Oh, where's Cam? I've gotta spring that one on her!!! 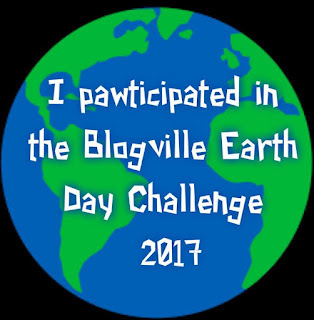 We are happy to see how everyone in Blogville is taking saving our earth seriously! Thanks for what you do to help. We love that you are so good to those hummers - and WE love seeing them there too.